You invest so much time and resources driving traffic to your website. But that’s just the beginning. What do you do with all that traffic coming your way? How do you convince them to stay around, subscribe to your blog, or do business with you? It all comes down to web design. Good website design will help convey your brand message to the visitor, guide their focus, and influence their emotions. Most importantly, it will convince them to take the desired actions, whether it’s subscribing to your blog or completing the checkout process in your online store. With so many websites dotting the vast digital universe, a website that’s captivating and persuasive is essentially a website designed to appeal to the user on an instinctive level. In order to persuade anyone to do anything, you have to know how they think first. And in this case, it’s all about knowing what actually goes on in our brain when we land on a site, what your audience expects from it, and how their impressions are formed. Here are our best tips for creating a persuasive website that will boost conversions and help build your brand. Landing on a webpage is similar to entering a room. Without you even realising it, your brain reinforces your perception to figure out what’s going on right away. What is this page about? Will I find what I need here? What is there to stick around for? We form impressions within a matter of milliseconds. You have this short timeframe to provide answers to these questions and avoid high bounce rates. Clarity is equally important for existing customers or subscribers as it is for new visitors. People land on a website expecting to find what they want easily. You can go by the elimination process to re-examine the clarity of your images, copy, and navigational buttons. Is there anything on your website that is unnecessarily complex or doesn’t help clarify your message? Replace it with something less ambiguous to drive your point home. Our perception is primarily influenced by visuals, so it comes as no surprise that people notice visual design first, and content second. Visual appeal is your key to making that smashing first impression. Rely on powerful, captivating images to show personality, stir emotion, and guide the user’s focus. A large background photo on a landing page works great. It captures the visitor’s attention instantly, sets the mood, and invites them to immerse themselves in the website. When you’re presenting your products/services, look for ways to emphasize their best qualities through the visuals, rather than having to explain them. No one wants a run-of-the-mill website with zero personality. But some long-standing web design principles are there for a reason – because they’ve been proven to work. In other words, you don’t need to reinvent the wheel in order to express a strong brand image and make a memorable impression. The takeaway – because of the way our brains are hardwired, we respond the best to simple and familiar designs. This doesn’t mean that you need to be boring – just that you shouldn’t try too hard to be innovative and ignore the well-established principles of UX. Familiarity is always appealing, but it is especially important for e-commerce websites because it conveys a sense of safety, which is a special concern with online shopping. That’s why you’ll see all the familiar patterns and processes showcased in the portfolios of reputable ecommerce web design agencies. As we can see from the previous point, creating a sense of familiarity is extremely important for persuasion. And when it comes to establishing that warm feeling of familiarity, there’s nothing like a human face on a website. Seeing a human face compels the feeling of a personal connection. Although we are so used to technology we still need that human touch that will bridge the gap of interacting with a machine. Faces are relatable and they’re able to reflect our own fears, hopes, and desires. Leverage this phenomenon to showcase faces on your website in a way that will benefit your conversions. First and foremost – don’t rely on obvious stock photography. That will be counterproductive. Show convincing photos people who look like your real-life customers. Your models need to wear inviting expressions which encourage positive emotions – in other words, smiles and laughs and all their variants. Needless to say, pairing an image of a person alongside social proof is one of the most powerful persuasion techniques. Lastly, visitors need to see the faces behind your business. The people who are working hard to make it all happen. Show them to build trust and authority. If you’ve ever found yourself sifting through a long restaurant menu, utterly unable to decide, you’ll understand this one right away. Having too many choices overwhelms our judgement to the point that we feel too paralyzed to process all the information and form a decision. Psychologist Barry Schwartz thoroughly explains this phenomenon as “the paradox of choice”, and the concept has been referred to regularly in marketing strategy. Quite simply, the more choices there are, the smaller the chance of your audience making any choice at all. That’s why it’s best to limit your calls to action to one per page, ideally. Too many CTA’s can be annoying anyway, especially when they’re irrelevant to the content and context of the page. Likewise, if you’re featuring products on your website, do some testing to determine the optimal number of products to feature per page. Put your bestselling products in the limelight to make choosing easier. Your website is the most tangible and comprehensive representation of your brand. It is the stronghold of your entire online operation and its importance extends to the offline world as well. Many people nowadays first check out a business’ website first before deciding whether they’ll visit their brick-and-mortar location. Naturally, it’s where you need to channel all your persuasion efforts. But it’s a specific medium where you need to use all the visual and verbal elements at your disposal to compensate for the entirely virtual customer experience. That’s why understanding how the brain responds to certain elements and what makes users tick is so important for web design (and business) success. 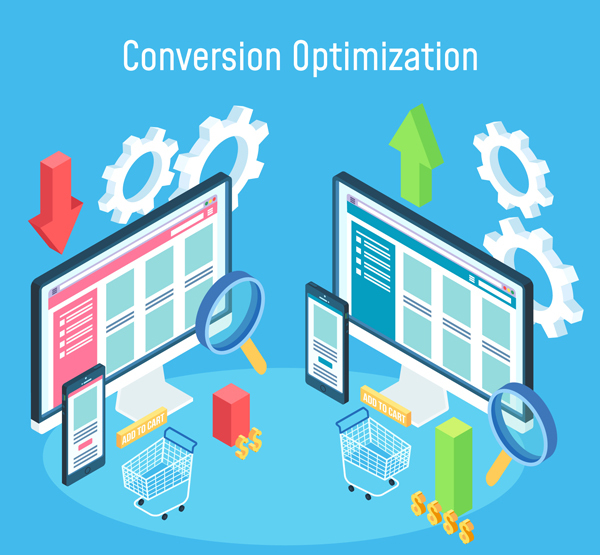 Keep an eye on your target market and follow these tips – you’ll see those bounce rates go down and conversions go up for sure.